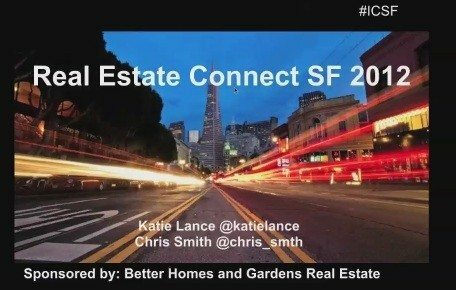 Real Estate Connect SF is just a few days away, but what makes this Connect different than the rest? Hear from Inman News’ Social Media Director, Katie Lance, and Chief Evangelist, Chris Smith, about Connect. Get the inside scoop on the can’t-miss sessions, the killer keynotes, what’s new this year, and of course, the 411 on the parties! Don’t miss the first five minutes where we interview Sherry Chris, CEO of Better Homes and Gardens Real Estate to get all the details on our NEW party for 2012 – “Show Me Your App” party! What you can expect to gain from Connect SF? The best and the brightest attend Connect. Get the low-down on the event as well as insider tips for making the most of your time at Connect. Whether this is your first or sixteenth Connect, you won’t want to miss this free webinar!